Until recently it was believed that members of the UK armed forces were protected by the Human Rights Act even when stationed abroad. However, a recent case which came before the UK’s Supreme Court may have a serious impact on the entitlement of members of the UK’s armed forces to rely on UK human rights law and to protect themselves from breaches of their rights. In earlier cases heard in the UK it had been held that members of the UK armed forces were protected by UK human rights law whilst in military bases or hospitals abroad. 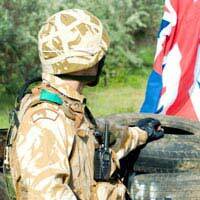 Members of the armed forces are generally governed by UK law and are, themselves, bound to comply with standards of British law whilst serving abroad. The case had originally been brought against the Ministry of Defence by the mother of a soldier, Jason Smith, who died in Iraq from heatstroke at the age of 32. The soldier’s death occurred in 2003, soon after the allied forces had overthrown Saddam Hussein’s regime. Mr Smith, who was a reservist with the Territorial Army, had complained to commanding officers that he was feeling unwell but died before he was taken to hospital. The case had already been heard by judges in lower UK courts. Previous decisions had gone against the Ministry of Defence and found that members of the armed forces were protected by the Human Rights Act whilst serving abroad. The Ministry of Defence believe that the Supreme Court’s decision is based on common sense. They argue that it would be impossible to engage properly in combat if commanding officers were constantly having to balance every decision made and order given against the human rights of individual soldiers. They also state that it would be impossible to protect the human rights of individual soldiers in other countries, such as Afghanistan or Iraq, to the same standard as in the UK. This case was widely supported by human rights organisations and anti-war groups. The case was also seen as an important step towards ensuring that British soldiers who are sent abroad to fight are properly equipped. There have been numerous allegations that British soldiers are frequently poorly or under-equipped and that their lives are being put at risk as a result. Although this case did not directly relate to the soldier’s equipment, the principles contained in it could have a far-reaching impact on the general duty of the Ministry of Defence and commanding officers to ensure that the rights and welfare of their soldiers are being observed. This could include a duty to ensure that the equipment used by soldiers offers an appropriate level of protection. The family of the soldier who died immediately said that they intended to take the case to the European Court of Human Rights, which is the final court of appeal for any UK human rights law decision. The European Court of Human Rights already has a case pending which concerns alleged breaches of the human rights of Iraqi citizens by members of the UK armed forces. Advocates of the wider application of human rights law argue that the UK government has a duty to protect the human rights of individuals over whom it has control - both in the UK and abroad. By denying the human rights of members of the armed forces, or of foreign nationals under the control of the UK authorities, the UK government may not be fully enforcing human rights law. Despite allowing the government’s appeal in the case of Jason Smith, the UK’s Supreme Court agreed with an earlier court decision that a second inquest should be conducted into Mr Smith’s death. The second inquest could investigate the wider circumstances surrounding his death - including whether his human rights had been breached. The Supreme Court judges also acknowledged that the question of how widely human rights law should be applied to UK armed forces stationed abroad may require further clarification by the European Court of Human Justice. I have just realised I forgot to mention that the war pensions tribunalin 2010 increased my award to 20% and back-dated it to 08/1993. I then applied for the wp allowances I would have been entitled to in 1993. After appealing the decision I found out that 20% was not enough after changes in the law made in 1997, so I was not entitled to the allowances I would have gotten had I applied in 1993. My next round of tribunals is in August. Veterans-UK decided to split the extra 10% of my war pension to 10% for the fractured skull, backdated to 09/2016 and 0% for the neuropsychological conditions back dated to 08/1993. Something is wrong there!Veterans-UK' s statement of Case for my tribunal quite clearly assess both conditions as 'Attributable' but their rep at the tribunal tell the panel that the conditions have to be treated as 'Aggravated'. the panel comply. I think they are trying to take me to the cleaners! It doesn't sound right, but you should really seek professional legal advice to help you with this. Veterans-UK decided to split the extra 10% of my war pension to 10% for the fractured skull, backdated to 09/2016 and 0% for the neuropsychological conditions back dated to 08/1993. Something is wrong there! Veterans-UK' s statement of Case for my tribunal quite clearly assess both conditions as 'Attributable' but their rep at the tribunal tell the panel that the conditions have to be treated as 'Aggravated'. the panel comply. I think they are trying to take me to the cleaners! Got my war pension increased from 20% to 30% at a tribunal yesterday for further conditions of aggravated neuropsychological conditiond (untreated) and aggravated depressed fracture of my forehead. I also found out that neuropsychiatric conditions are not considered as psychiatric conditions for abuse cases. For my abuse case all I need is a psychiatric condition. The increase does not sound much but it opens up my initial case in wbich because I am brain damaged and good at making the wrong decisions I made all the wrong decisions in the first two years and that scuppered it until now. I have applied for legal assistance quite a few times since 2008, but I have been unable to get it until recently. My case has been infront of several tribunals, upper tribunal, court of session, pension ombudsman, Parliamentary ombudsman, president of the administrative upper tribunal and judicial appointment and conduct ombudsman. I was advised to put in a claim for bullying by Veterans uk in01/2015. The President of the Administrative UT chaired an UT armed forces bullying claim and in the decision informed Veterans UK that bullying claims were to be handled by the legal department. In 05/2016 Veterans UK accepted that I had suffered abuse i n the RN and stated that any verbal comment made to me after my injury in 1977 would be accepted as verbal abuse because of my treatment in the RN. I was told that there was no record of any psychiatric conditions attached to it so my case was turned down. I apealed against the decision. The tribunal in 08/2016 adjourned my case and told me I could get a psychiatric assessment through legal aid help and assistance. I now have legal aid, but I now realise that tribunal new I had psychiatric conditions diagnosed by my neuropsychological assessment of 2008. Right now I am wondering which way my case is going to go! My increased award tribunal in 2009 mentioned my neuropsychological assessment but in reality never assessed it. A recent Upper tribunal decision said that article 35.6 of the Service Pension Order 2006 said quite clearly that if you get awarded a war pension of not less than 20%, all medical condition diagnosed and seen by the medical advisers at Veterans uk must also be assessed and it was the duty of the medical advisers to do so. The UT decision said it was an error in law if Veterans uk did not carry it out. After obtaining that UT decision I informed Veterans uk. A few days later I got a phone call from them and they stated they never mentioned assessing my neuropsychological conditions and it never happened! I have so far asked for FOI on all that has happened to my case since09/16 and stated a complaint. How dare I find out that Veterans uk have not been complying with SPO 2006, Which is their legislation for dealing with the war pension. A lawyer is the best person to approach about this. Correction, it should be reasonable doubt. A mistake in my entry, it should say abnormal celebration. Veterans-UK have again tinkered War Pension rules and directions from the Upper Tribunal and dismissed my latest claims and letting it be decided at a Pensions Appeal Tribunal. Veterans-UK has difficulty understanding the term 'reasonable county's. I was serving on HMS Eskimo stationed at Curacao in 1977 and I suffered a severe cerebral contusion with 27 days comatose/unconsciousness. My parents were sent over by the MOD to repatriate me. On repatriation and admission to RNH Haslar I was assessed as having 'very very slow character' normal cerebration and high ESR. It was thought that I suffered concussion and I was sent back to work on restricted duties and was to have my I.Q. assessed. About a month later I was handed all my back pay and I bought a motorbike. I fell off it a few times and I broke my wrist. RN medical staff quickly realised they had misdiagnosed me and fraudulently recorded the neuropsychological assessment I had to take. I was sent back to work assessed as having made a full recovery. I managed to survive another 16 years in the RN despite all my behavioural problems. My divisional records got lost in 1989 and I was put under warning for poor workmanship. That happened again in 1991. I did not know then that my behaviour was allowed for and I did not have 'Insight' into my behaviour and how other people perceived me. After leaving the RN in 1993, despite spending 4 years at university I struggled to find and keep employment. I got sacked a few times and put under warning a few times. In 2007 I went to see my GP as I was starting to think there must be something wrong with me. It turned out my GP had no information on my head injury. Soon after that I applied for a War Pension as I had realised I had never received treatment for my head injury while in the RN. My case is still ongoing 9 years on. Google 'richard davie war pension' for more insight. My Human Rights have been violated as the RN discriminated against me and withheld medical treatment from me because I had suffered a severe TBI and lacked insight.